The company designs and develops forms of collection containers and any necessary accessories to ensure the homogeneity of the production process by applying good standards of Pharmaceutical Technology. CO.RA ®. is a company that deals with the design, development and implementation of the proposed systems: including a rotary tablet valve, double valve and sole valve.. The process from development to the final execution of the system is managed by the same team of technicians who are able to incorporate the design concepts already in the planning stage. 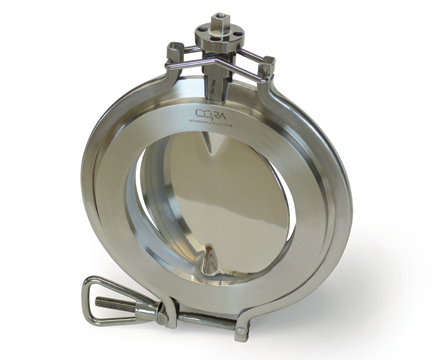 Thirty years of tradition in chemical and pharmaceutical solid handling allows CO.RA. ® to guarantee its products based on the most stringent norms (FDA, ATEX), design and development are completely made and manufactured in Altopascio, Italy. All products CO.RA. Ltd are licensed and comply with FDA regulations (GMP) High Cross contamination containment validation processes FAT, SAT, IQ, OQ, PQ, CIP, ATEX, CE, surface finish of 0.02 micron. Thirty years of team experience in integrated activity allows CO.RA. ® to have in house know how of SOLID HANDLING at the disposal of pharmaceutical partners to obtain focused and useful solutions. The Sole Valve is designed and manufactured respecting the strictest hygiene norms and avoiding recesses and interstices of any kind, thus allowing the operator to quickly disassemble and clean the valve without using any tools. 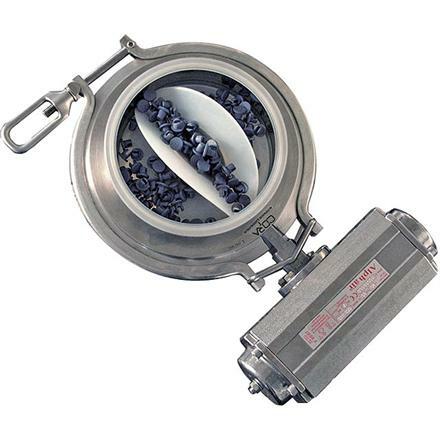 The vane, by means of its (alternate 90° angle) movement allows a quick interception and discharge of the product; it is designed to resolve the problem of interception and control of the flow of powders, granules, and pastes. 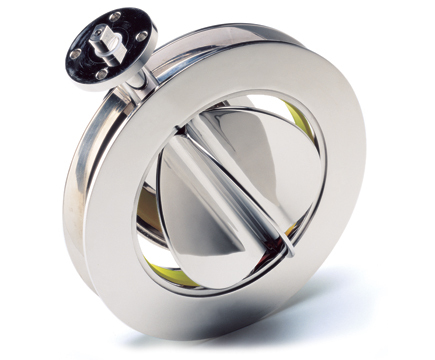 Double Valve is a dosing valve, composed of two intercepting elements. The butterfly is suitable to execute a rough dosing while the small rotor carries out a fine dosing. The maximum accuracy achievable is +/- 20 grams, the valve can be interfaced with dosing and weighing systems. The Double Valve can be supplied with a sealing gasket between the vane and the dosing rotor (DVG). This solution allows the valve to work in applications with pressure up to 0,5 bar. The overall dimensions of the valve remain the same. The Rotary Valve was designed and manufactured respecting the strictest hygiene norms and avoiding recesses and interstices of any kind, thus allowing the operator to quickly disassemble and clean the valve without the use of any tools. 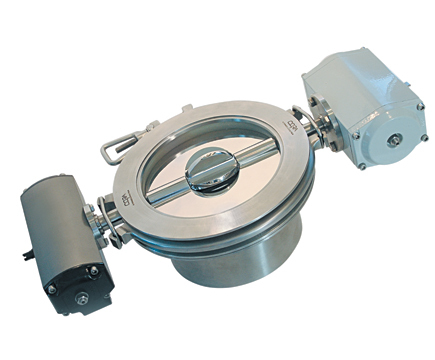 The Rotary Valve was conceived to resolve the problem of interception and flow control in pharmaceutical plants, in particular, it allows the continuous feeding of granules and powders and the uniform dosage of the product while feeding Mills, Tablet Press Machines, Capsule Filling Machines, Microdosing Machines and Sieving Machines. The rotary oscillating valve was invented almost 20 years ago by CO.RA. as a better solution to controlling the flow of tablets or easily breakable materials. Unlike a traditional rotary tablet valve, the CO.RA. valve weighs only a few pounds and assembles without tools (if required). The valve oscillates back and forth using a 180 deg pneumatic actuator. The valve seals airtight at every position from 0 to 180 degrees. The special rotor is made in platinum cured (class VI) silicone and will not damage your tablets. The rotor also breaks down into separate parts for easy cleaning validation. Cleanroom produced, platinum cured silicon seals. Viton, EPDM and PTFE also standard.